Acquiring title insurance will ensure that the mortgage lender and the homebuyer are protected against problems with a title during the transfer of ownership of the property. Oftentimes, property titles can be defective because of unknown liens, public record errors, property restrictions, illegal deeds, easements and other encumbrances. Homebuyers and mortgage lenders protected under title insurance can feel secure in knowing that they will not incur any financial loss as a result of a defective title. Having a proper title insurance policy will make the title transfer during closing a smoother transition. During the sale and purchase of a home, Mathis Title Company will hold the funds being transferred in an escrow account before title transfer and closing. Once the escrow officer has approved the title order, our title company agents will begin a title search to ensure a clean title transfer and the homebuyer will be issued a preliminary report to review and approve. 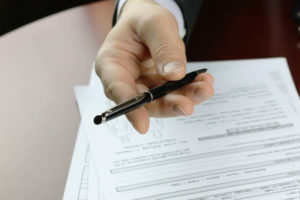 The escrow officer will then instruct the recording of all closing documents. After this process is complete, funds will then be disbursed for transfer and a title insurance policy will be officially created. With their legal background, the Mathis Title Company agents are able to perform research on the title to make sure that the title being transferred is clean. A clean title means that there are no unpaid taxes, legal obligations or suits, fraud, any remaining heirs with rights to the property, and more. This research is performed to ensure that the seller is the rightful owner of the property and is transferring the title over to the buyer without any hidden strings attached. After the title has been approved for transfer, we will contact one of our trusted underwriting companies to issue an insurance policy. We have issued numerous title insurance policies to our clients over the years with the underwriting assistance of Stewart Guaranty Title Company and Old Republic National Title Company. 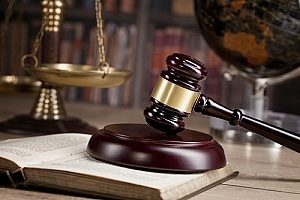 The insurance policy will pay for a defense attorney in the event the validity of your title is challenged, or can provide compensation for your equity if the case is lost. Typically, homeowners acquire two types of title insurance policies: an owner’s policy and a policy that protects the lender, called a lender’s policy. These policies ensure that both parties in the property sale are protected. An owner’s policy will protect the homeowner after purchase from lawsuits by a third party that suggests a claim was filed against the property before the homeowners purchased their new home. These claims usually arise from a previous homeowner’s evasion of taxes they owed or from a mechanics lien issued by a contractor who was not paid for construction performed on the home before purchase. A basic owner’s title insurance policy may sometimes not provide enough coverage for homeowners who are looking for more layers of protection. An extended owner’s policy protects homeowners from additional liabilities such as encroachments or forgeries after the issuance of title insurance, previous ownership covenant violations, living trusts or structural damages. Mortgage lenders are covered by a lender’s policy if someone were to file a similar claim that would affect a lender’s investment in the sale of the home. Lender’s insurance is often a requirement to receive a mortgage loan because of the mortgage company’s inherent risk in providing a loan for a property that may come with issues such as unrecorded liens, mechanics liens, unrecorded easements or documents, and other defects. Once your property title is insured, your insurance policy is valid for as long as you own the property. If you choose to re-sell the property within a few short years, you can apply for title insurance binder coverage. This addition to your policy is valid for two years. You will be credited for the value of coverage purchased under your owner’s policy. Unlike most insurance policies, title insurance isn’t paid on a monthly or annual basis. It is simply a one-time payment. When you purchase your home, the balance of your policy is paid in full. The title insurance process can be stressful and confusing. Fortunately at Mathis Title Company, we value our clients and make it our mission to devote personalized attention to them every step of the way. Our legal background lends us an advantage in understanding and facilitating a successful title transfer and providing you with optimal insurance coverage. For more information on how we can assist you in purchasing title insurance, contact Mathis Title Company today.